This conference brings together communication scholars who investigate language in many social contexts, using quantitative or qualitative methods. Research in this field is multi-disciplinary, with particularly strong contributions from communication studies and communicology, social psychology, sociolinguistics, and applied linguistics. It focuses on the perceptions, motivations, norms and contextual factors that influence interactants in the communication process, as well as on language and communication behavior and its consequences. For more detail about language and social psychology (LASP), visit the International Association of Language and Social Psychology (IALSP) website: http://www.ialsp.org/. As always, everything you have come to expect from an ICLASP conference! 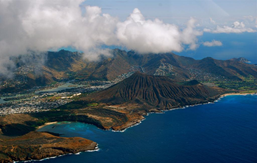 ICLASP 14 will convene in Honolulu on the southern shore of O`ahu, which means, appropriately, the Gathering Place. 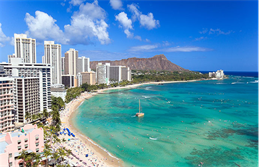 Honolulu is the economic and population center of Hawai`i. From our conference headquarters at the Ala Moana Hotel you can walk to beaches, parks, shopping, or the world famous Waikiki Beach. Pirouette 360 degrees and you will see blue ocean, green mountains, and cityscape with 21st century architecture. Driving excursions can take you back in time to the events of Pearl Harbor or to the world class surfers’ destination of the North Shore. There are endless hikes through rain forests or up mountain ridges to the most breathtaking sights of mountain and ocean you can imagine. If you choose to extend your time in the islands beyond ICLASP, find time to visit one or more of the other Hawaiian Islands. Each is unique with their own attractions, their own beauty. ICLASP 14 will be held in June when the Trade Winds keep the Islands cool and daily temperature averages 27°. Dress for Paradise! To receive full consideration, submissions must be received before February 28th, 2014. Submissions received after that date may be accepted on a space available basis. All proposals received by February 28th will be reviewed, and corresponding authors will be notified of the status of their submissions by the end of March, 2014. Submissions received after February 28th will be reviewed on an ongoing basis if space is available. All submissions must include complete contact information for all authors, along with an indication of the corresponding author. Submissions will be accepted in two forms: Symposia or individual abstracts (see below for details). A list of the individual presentations in order, including the title and abstract for each oral presentation (120 words maximum), presenting author, and the name, affiliation, and email address of each presenter. A typical symposium will include at least 4 presenters. Upload as a ‘paper’ in the easychair system via the link above. An indication of authors’ preference for an oral presentation or an interactive (poster) presentation. Upload as an ‘abstract’ in the easychair system via the link above. Please also select ‘abstract only’ in the upload paper box.